When life gets busy I turn to easy comfort foods. I am currently working, quite furiously, on my next book. In fact, I just passed the half way point! My work on the book, as well as my trips to BlogHer and IFBC New Orleans, mean that this month I will not have as much time for cooking anything other than pies. 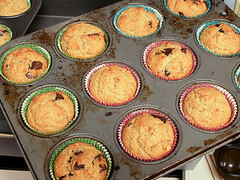 Anything I can bake and stash in the freezer makes me feel a little more secure. I love knowing I am just a few moments away from something scrumptious that is not pie related. (It is certain I have reached total pie saturation. Send help!) 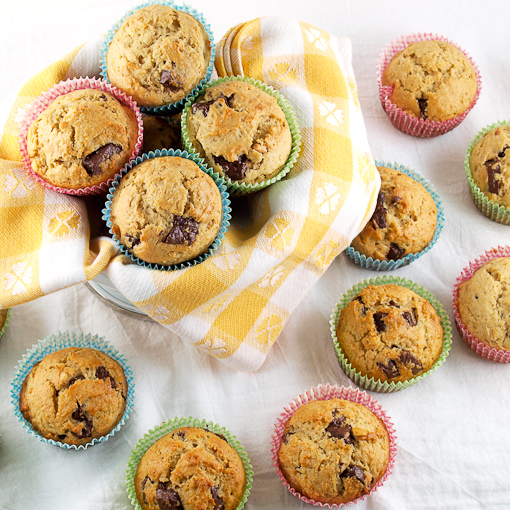 Now, I do love a good muffin, and I also love chocolate and peanut butter. I think you see where this is going. 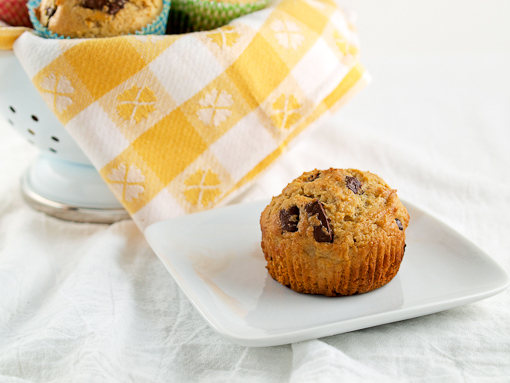 This is a dense muffin that goes great with a tall glass of cold milk. I opted for crunchy peanut butter for the sake of texture. 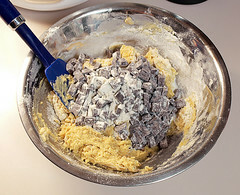 I wanted those little nibs of peanut scattered among the chocolate chips. If you prefer creamy, or you want to use another nut butter altogether, feel free. Just please do not use low-fat peanut butter. It will bake up with a distinct bitter flavor, and that stuff is just junk anyway. 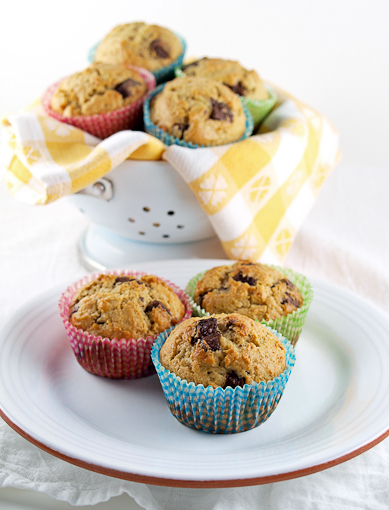 If you want to add a little tart sweetness to these muffins add some dried cranberries, soaked in some orange juice. 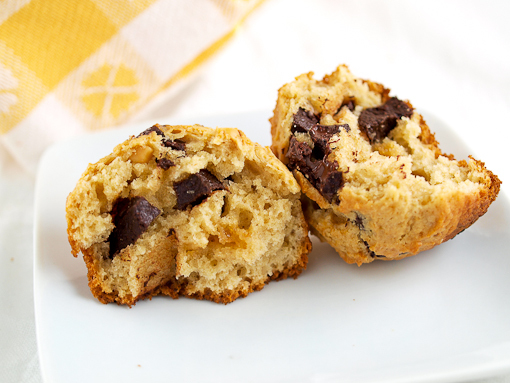 Raisins would also be nice in place of the chocolate chips for a more PB&J feel. 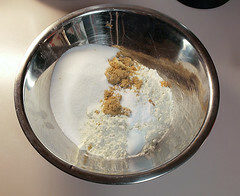 In a large bowl whisk together the flour, sugar, brown sugar, baking powder, baking soda, and salt. 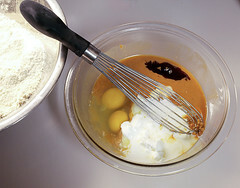 In a separate bowl combine the butter, peanut butter, vanilla, milk, sour cream, and eggs.